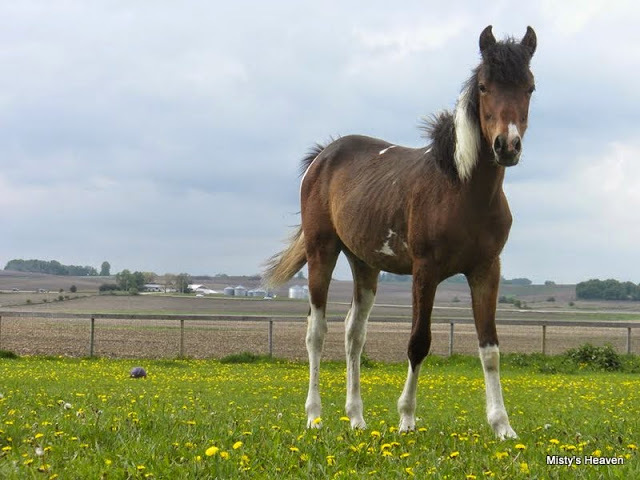 Misty's Dash for Freedom, Dash for short, is a bay pinto gelding by Cyclone II. He was born at Rebekah's Horse Ranch in Minnesota and was sold to a new home in New Mexico after he was weaned. Dash has a 2015 full sibling, Hart's Dancing Jubilee.